OAPSE members do important work all over the state, and we want to introduce you to some of the more than 36,000+ who are making a difference for Ohio’s children and families. This is the latest video in our series showing our members at work and highlighting the critical roles they play in public education. 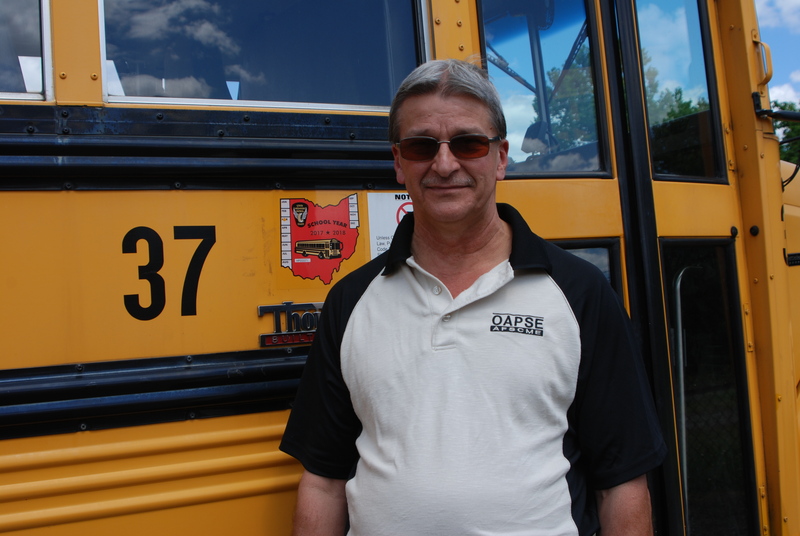 John Sindeldecker is a long-time bus driver with Buckeye Local Schools and has been a proud OAPSE member for 25 years. He is a leader in his Local 373, and is president of Eastern District. Take a look at our short video highlighting John and the work he does for students every day. John is OAPSE. Get to know him. Get to know us.